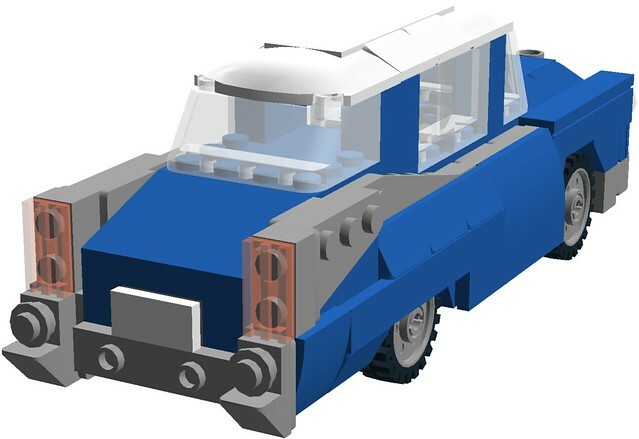 This classic car was inspired by my previous car for Benny the 1980-something space guy, and partially by set 21108. (that's the Ghostbuster's Ecto 1) With the Ecto 1, I removed the front hood, shortened the car's length and width to make it about the same size my usual CITY-scale vehicles at a acceptable 24 studs long and 6 studs wide. 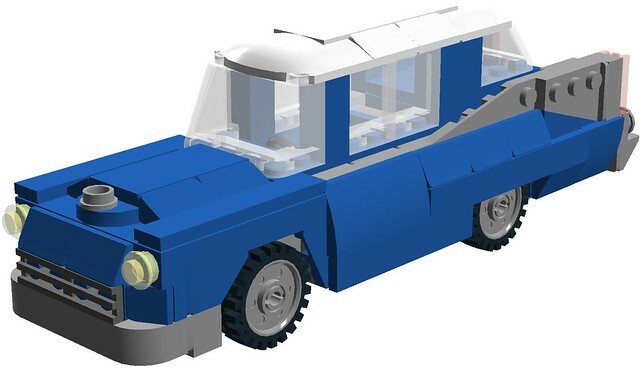 I then added the front hood and grille work which was originally inspired by set 4728 (Escape from Privet Drive). Anyway, the car looks like it could fit a figure, but it can't as of right now... It probably could work but would require substantial body work MODs that I frankly don't want to do right now. (sorry!) 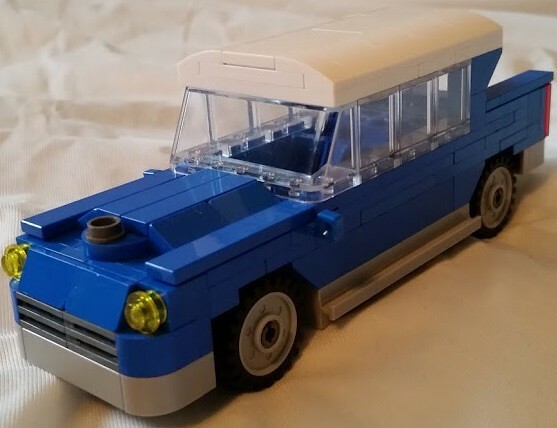 The car will be built by summer, and will replace the car seen in the above picture. I like this. Nice job on the tailfins and especially rear bumper. But I keep thinking it would look better with quad headlights, one pair above the other. Thanks, I'll have to see about the headlights.